Bulgaria launched a tender on Wednesday for a new gas link with Turkey in a push to persuade Russia to extend the second part of the Turkish Stream pipeline to its border rather than Greece. State gas firm Bulgartransgaz has said five firms expressed an interest in shipping gas through Bulgaria's network and sources said Russian energy giant Gazprom was interested in using most of the capacity. Sofia is planning to seek firm commitments from companies by the end of 2018. The moves have alarmed some in Brussels. It has tentatively backed a plan to build a Balkan Gas Hub in Bulgaria's Black Sea port of Varna to ensure any more Russian gas coming into the EU would compete with gas from at least two other sources, such as Azerbaijan or liquefied natural gas (LNG) shipped from Greece. But EU officials fear Sofia may opt to simply send the gas onto Europe to earn transit fees rather than allowing it to be traded at new a gas hub, cementing the small EU nation's near 100 percent dependence on Gazprom. Europe's energy chief warned that any new pipeline infrastructure in Bulgaria would come under "very very close" scrutiny to ensure it complies with EU rules. "I understand that this (transit pipeline) looks like something which is much easier and simpler," European Commission Vice President Maros Sefcovic told Reuters. "The most important thing is to have a choice, to have options and to become the trader, not a mere transit," he said. Bulgarian Prime Minister Boyko Borissov, who visited Russia and Turkey recently, has said Russian President Vladimir Putin was ready to send Russian gas to Bulgaria if it could find a way of shipping it to the rest of Europe and wins Brussels' nod. Bulgaria is still smarting from the 2014 cancellation of Russia's plan to bring gas to its shores with its South Stream pipeline. The project, which had promised the Balkan country on the EU's periphery money and clout, was dropped by Russia after it blamed opposition from Brussels. Borissov has regretted that the huge steel pipes intended for South Stream staked high at Bulgaria's ports are now being used to build TurkStream instead. The EU sources worry such a pipeline for Russian gas would be more attractive to the bloc's poorest member state, promising more money sooner given that any gas hub is still considered a long way off. Bulgaria has yet to fully implement EU energy rules and follow through with plans to open cross-border gas pipelines with neighboring Greece and Serbia. After years of delays, it has now built a gas interconnector with Romania. "It's like putting the cart before the horse. You can't have a hub in place by decree," said Katja Yafimava, senior research fellow at the Oxford Institute for Energy Studies. The tug-of-war over what route Gazprom uses to supply some 34 percent of the Europe's gas needs is intensifying with its contract for gas transit through Ukraine due to expire in 2019. The planned Nord Stream pipeline to Germany and TurkStream are part of the Kremlin's drive to reduce flows through Ukraine. Russian gas now flows from Ukraine through Romania to Bulgaria. Some 3 billion cubic meters (bcm) is for Bulgaria's use while 13 bcm is shipped on to Turkey. Although Bulgaria is carrying out a feasibility study for the Balkan Gas Hub — paid for in part by Brussels and due later this year — it is also getting ready to receive Russian gas coming to the region via Turkey. 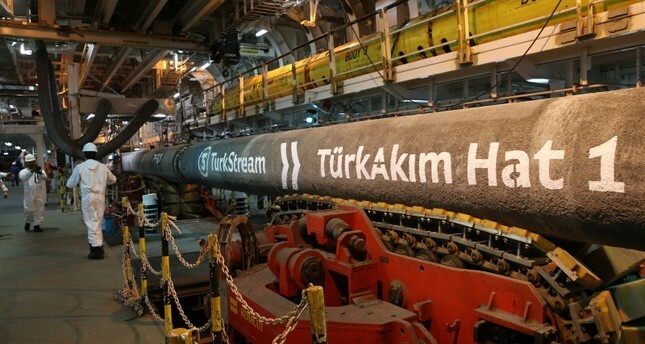 It has expanded its pipeline capacity to Turkey and allowed for reverse gas flows from its southern neighbor once the two lines of TurkStream with an annual capacity of 15.75 billion cubic meters are completed. Gazprom will decide by year's end whether to send gas on from Turkey to Europe via Greece and Italy or Bulgaria, a source close to the matter said. "If Bulgaria opts for transit, then this would be the last nail in the coffin of Ukrainian transit," one EU source said.